Until recently, when satellite television changed viewing habits, Mehboob Khan's "Mother India" (1957) could boast the remarkable distinction of having been constantly in distribution in India since its first release. Rooted both in Hindu mythology and in the collective experience of a newly independent nation-state on the brink of industrialization and social change, it's a family melodrama that moves inexorably towards tragedy and renewal. Nargis, one of India's great screen stars, plays Radha, an industrious and strong-willed peasant woman. She faces a series of tribulations. Her husband is maimed in a farming accident and flees the family home. She is in thrall to a malevolent moneylender, who lusts after her. Tempests destroy her crops and her home. Of the two sons who survive with her, one grows up to be traditionally obedient while the other rages against his life in the village and pursues a vendetta against the moneylender. Radha's final test comes when she must decide between her love for her son and her commitment to the community. 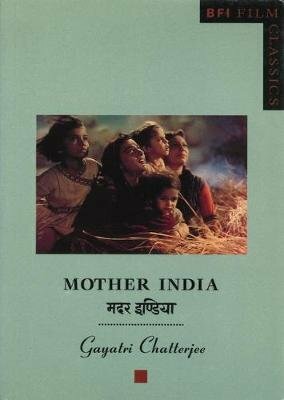 Vividly and beautifully shot on gevacolor then transferred onto technicolor stock, "Mother India" features spectacularly choreographed and designed song sequences, spectacular locations and an epic-style narrative. It is a cornerstone of Indian cinema. Based on research into the Mehboob studio archives, Gayatri Chatterjee outlines the film's eventful production history and the ambitious vision of its director. In her careful analysis of the film, Chatterjee reflects its vibrancy and passion and illuminates its many aspects - performance styles, reception and reputation, mythological underpinnings, its relation to post-independence culture and politics and its many references to the history of a country in transition.